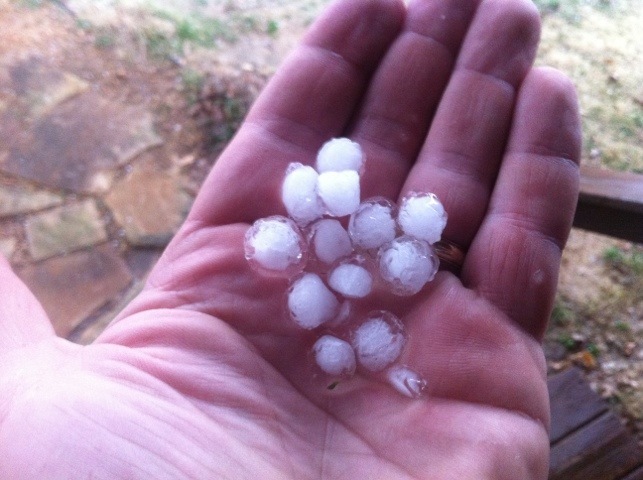 Marble & Dime size hail at the Henson household. And I’m the dummy out in the yard picking them up. Ha well we were under a tornado warning and we were standing on the porch watching the sky.